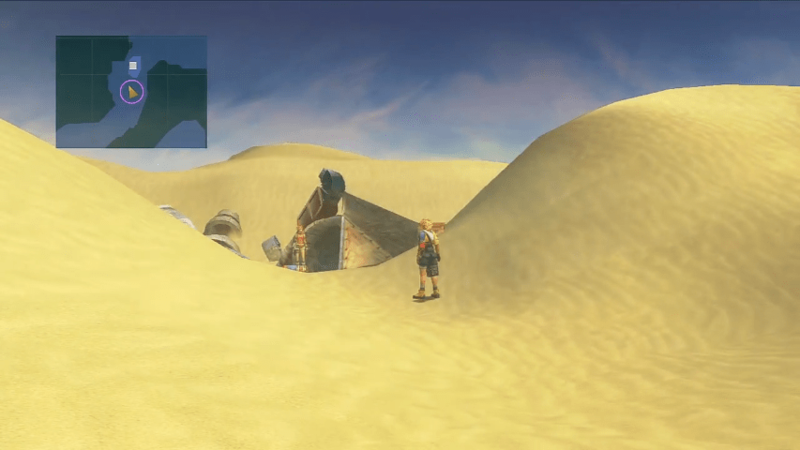 A complete walkthrough for Sanubia Desert in Final Fantasy X (FFX), including enemies encountered, obtainable items, and boss strategy guides. 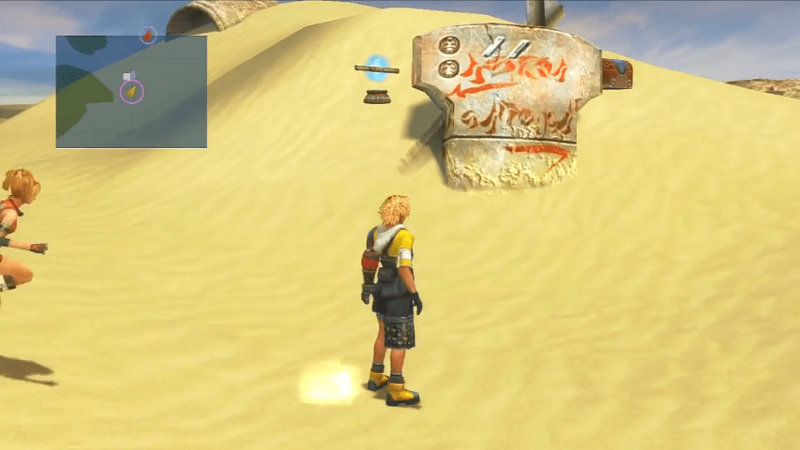 Continue northward to find Wakka in a shelter behind a sand dune. Follow the path to proceed and arrive in the East section. Go to the corner on the right to find Kimahri. Move around the corner to find Rikku. When you reach the crossroads, take the left path. Head north to find a sign post beside the Save Sphere. From the Save Sphere, head north. Continue north to reach the next section. Go west to find a sand hole. 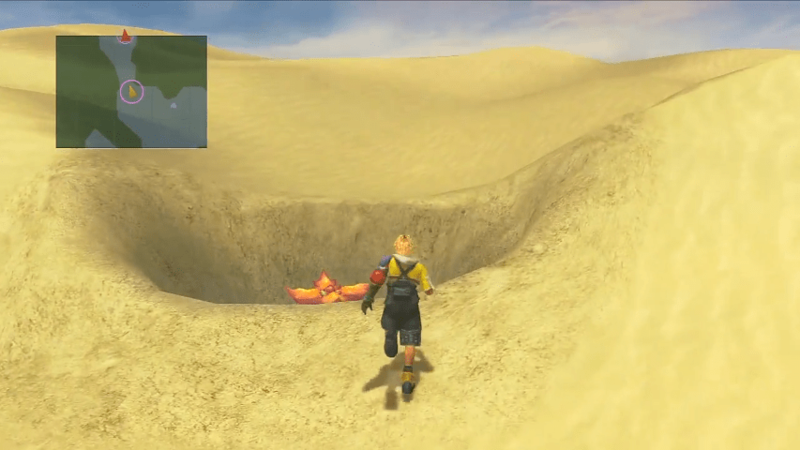 Follow the upper right path to find more sand holes. Follow the path to reach “Home,” the town of the Al Bhed. 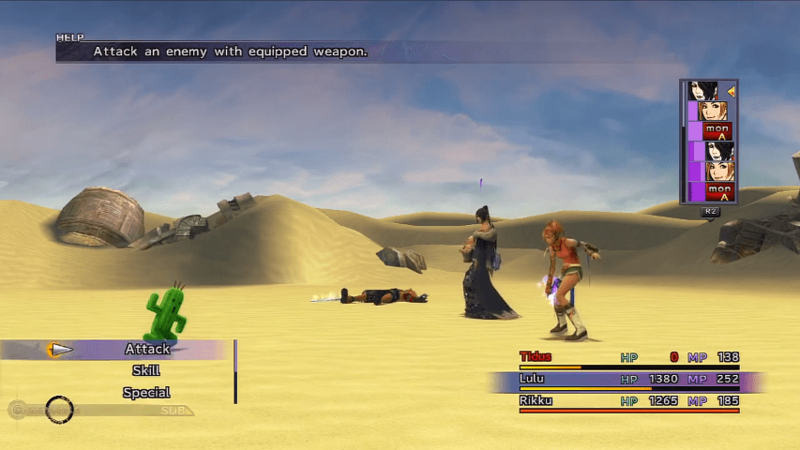 A myriad of enemies appear in the desert. Here are a few that may pose a threat to unprepared parties. First forced encounter as you take your first step into the desert. Cast Slow and wait for Zu to move. Auron will appear. Have him use Power Break to lower the Zu’s attack power. Cast Haste on Auron with Tidus, then Delay Attack/Delay Buster the enemy to gain a turn advantage. Have Lulu cast one of her most damaging spells after she arrives. 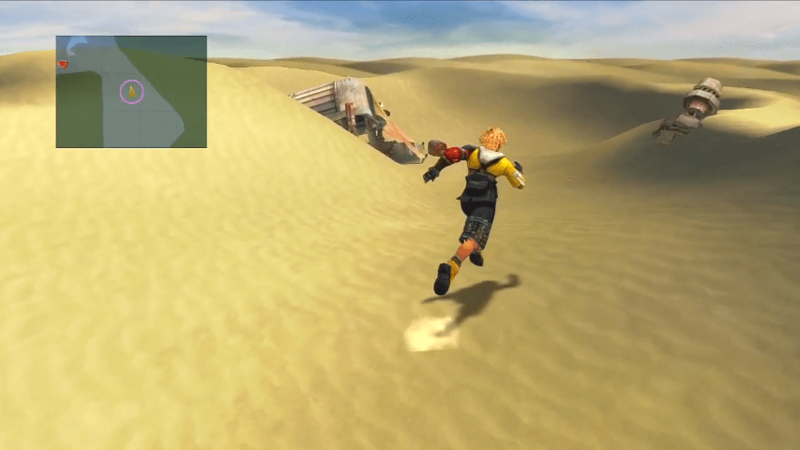 while Auron inflicts regular Attacks to whittle it down. 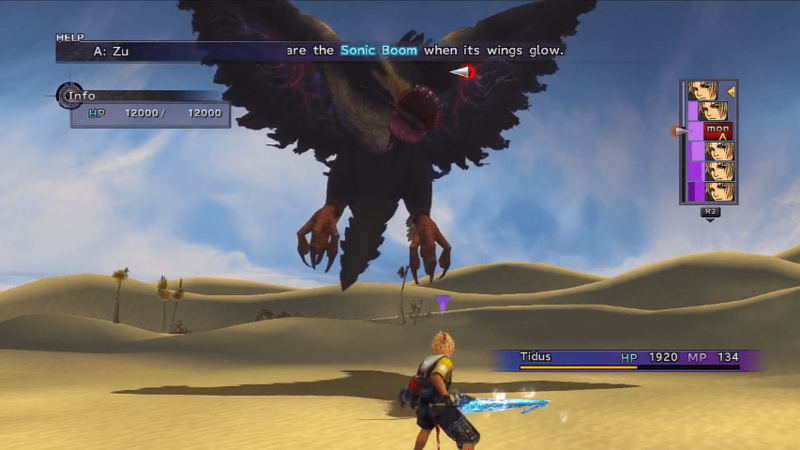 The only damage you should be wary of is Sonic Boom. Despite their appearance, Cactuars can instantly kill an unprepared party member. Cactuars possess fantastic evasion and armor, which make them impervious to almost all attacks. 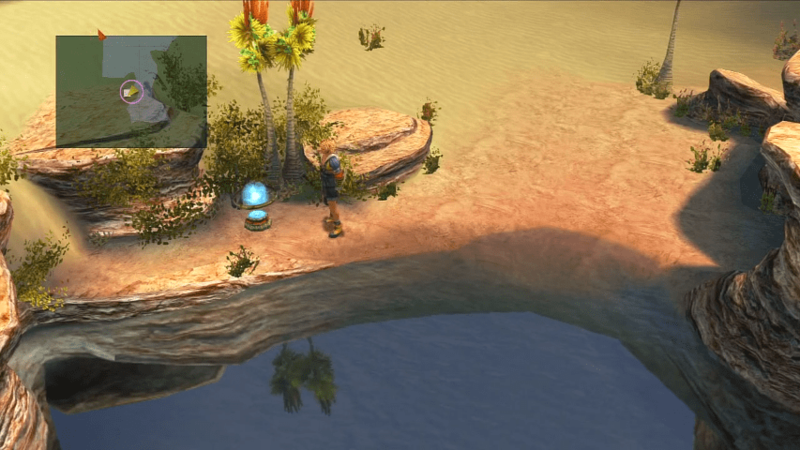 The best way to take them out is to charge your Overdrives by saving them in your encounters in Sanubia. You can earn a huge amount of AP and gear by defeating them. Enemies that ambush you when you walk through the sinkhole. Compared to the other enemies you encounter in Sanubia, Sandragora do not pose much of a threat, though they can be a nuisance with their Confuse ability. Perform some preventive measures by removing weapons with Waterstrike and replace your armor with pieces that have the Confuse Ward or Confuseproof ability. Have Auron use Armor Break and have Wakka put the Sandragora to sleep to buy time for others to use their attacks and spells.